Everything gets better when data moves closer to processing. Datomic can extensively cache its immutable data without concern for coordination or invalidation. 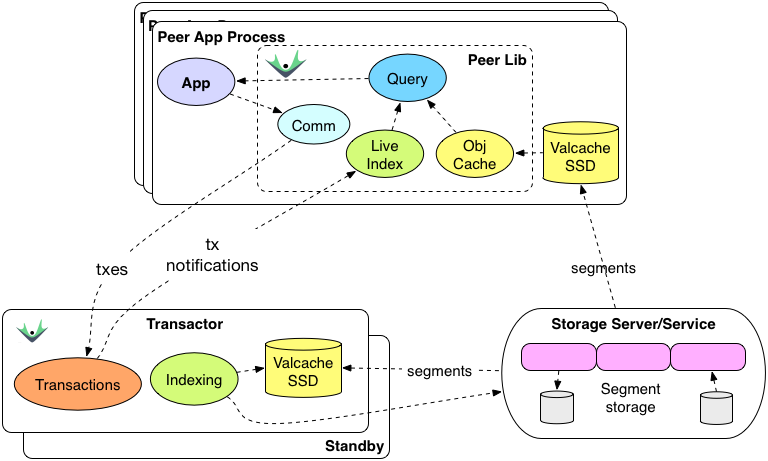 With the 'valcache' feature in today's Datomic On-Prem release you can use your local SSDs as large, durable per-process caches, on both transactors and peers. Valcache can improve performance, reduce the read load on storage and stay hot across process restarts. Get the latest release of Datomic.